What are the things you are drawn towards? What are the things you cannot help but do? 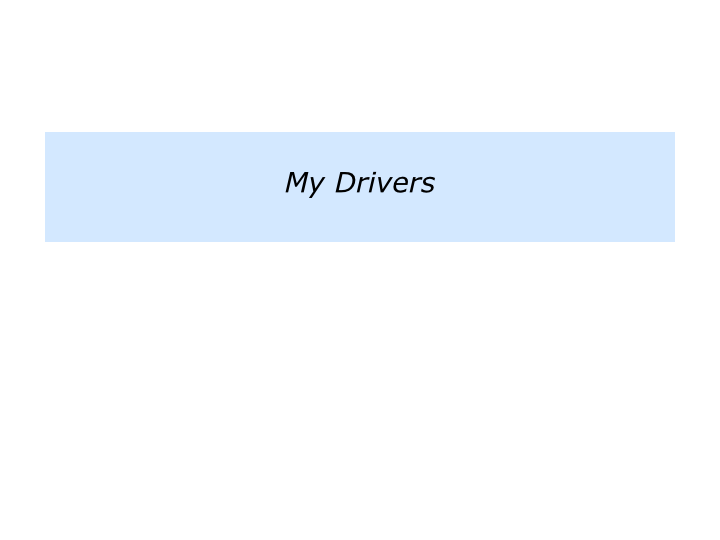 How do you to translate these drives into action? Here are the kinds of answers that people give to these questions. Encouraging people … Studying different cultures … Doing interior design … Solving certain types of problems … Doing chainsaw sculptures … Working for justice … Educating people to take of their health. Bernard Haldane explored similar themes when helping returning Second World War veterans to find or create satisfying work. He believed it was vital to help people to identify their successful patterns. Bernard went through the following steps to help veterans to build on these deepest drivers. He asked them to recall their best achievements and, in the process, clarify what they enjoyed doing and what they did well. He clarified their individual strengths and transferable skills that would be useful to an organisation. He helped them to market and present their offering in a way that showed the benefits to a potential employer. Bernard’s inside-out out approach was radical for the time. Most people who assisted job seekers adopted an outside-in approach, trying to fit people into boxes. He believed in the organic approach. 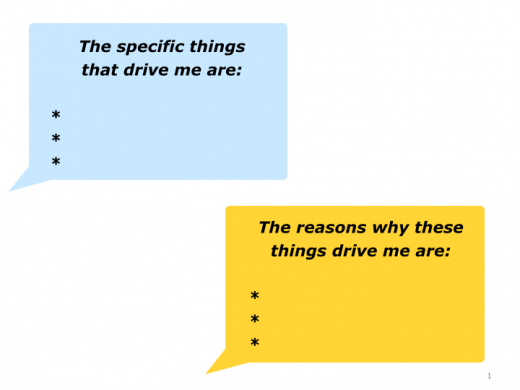 Building on people’s deepest drivers, Bernard showed how they could use these to find or create satisfying work. 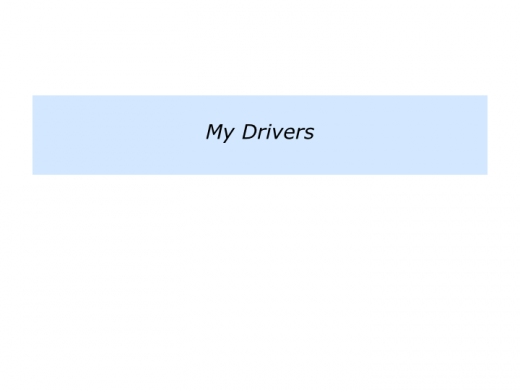 Describe your drivers – the things you cannot help but do. Describe the reasons why you enjoy doing these things. Let’s return to the things that you cannot help but do. Is there a particular drive that you want to follow in the future? If so, however can you translate this into action? You may express this by pursuing a particular project, achieving certain results or reaching some other kind of destination. 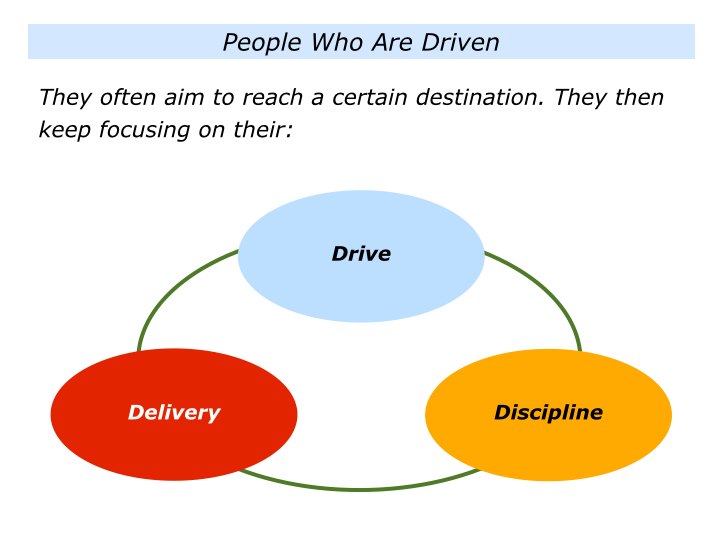 People who are driven often focus on their drive, discipline and delivery on the route to their goal. They keep reminding themselves of the drive they want to follow to reach their chosen destination. They follow the disciplines required to reach their chosen destination. They do whatever is required to deliver the goods and reach their chosen destination. Great workers recognise both the pleasures and pains of following their drive – both for themselves and for other people. They aim to build on the pluses and manage the consequences of the minuses. Such workers also often have elements of OCD – Obsessive Compulsive Discipline, rather than Disorder. They know how to manage these characteristics, however, rather than to allow the characteristics to manage them. If you wish, try tackling the exercise on this theme. This invites you to focus on how you can follow one of your drives and work towards reaching your chosen destination. Here is the exercise. 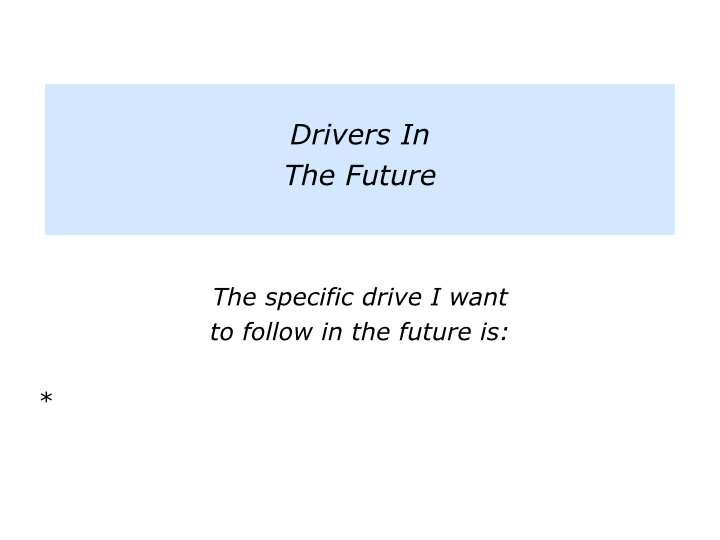 Describe the specific drive you want to follow in the future. Describe the specific things you can do to follow this drive. Describe the specific things you can do to build on the pluses and manage any minuses involved in working towards your chosen destination.